In view of the unprecedented floods in Serbia, the Government of the Republic of Serbia has opened accounts for donations to help affected regions to cope with this natural disaster. These accounts will provide funds only for the flooded regions. Foreign currency accounts in dollars and euros can be found here. Also, checks and Money Orders payable to the Consulate General of the Republic of Serbia in Chicago can be sent to the Consulate at address: 201 E Ohio Street, unit 200, Chicago, IL 60611, with memo "Poplave - pomoc". 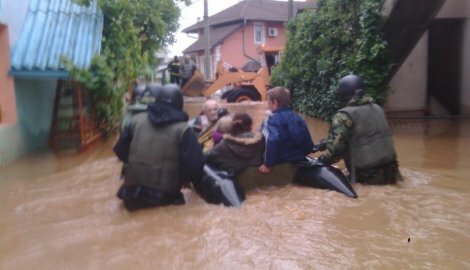 More information on the floods and aid can be found here (in Serbian). Consulate General is grateful to all who have donated and offered to help. At the same time, the Consulate General invites all the interested parties which are able to help to make donations for the affected population and recovery from flood damage. $ 78,905.09 was donated by August 8, 2014 to the account of the Consulate General.